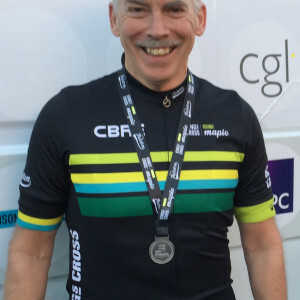 simon has chosen to raise funds for Club Peloton and is taking part in King's Cross Cycle to MAPIC 2018. "Hope the mountains weren't too painful after your training!" "A worthy cause. Go for it! All love from Nicky and Chris"
"Good luck Simon! Happy to donate to such a good cause. Best wishes, Graham"
"What a wonderful charity. Good luck up 18,000ft of hills and 400miles on the wrong side of the road. We'll keep to Richmond Park. Take care. Chris, Haydn and Hallam"